You will Watch One Piece Episode 504 English Dubbed online for free episodes with HQ / high quality. Stream anime One Piece Season 14 Episode 46 To Live Up to the Promise! Departures of Their Own! After the death of Sabo, Ace and Luffy continue their training while the others discover the Revolutionaries’ ship. 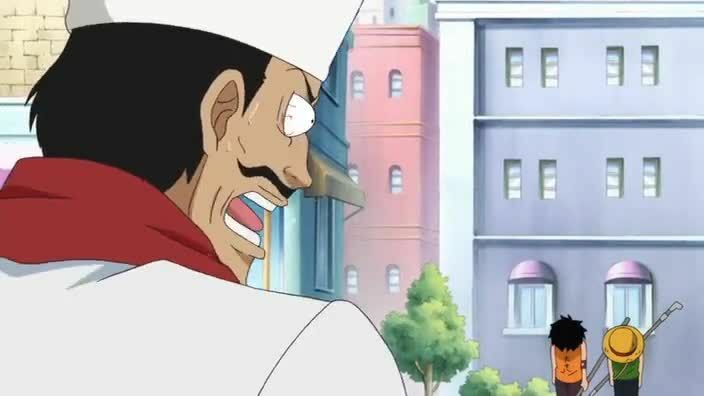 Meanwhile, Dragon tells Ivankov that he has attracted too much attention and departs for Baltigo. At the Grey Terminal, the villagers begin to accumulate more junk. At the forest, Ace becomes more fond of Luffy as a brother when Luffy gets nearly mauled by a bear. After seven years of intensive training, Ace departs from the Goa Kingdom to the ocean and Dadan is emotionally distraught. Three more years pass and Luffy bids farewell to everyone as he departs on his journey to the Grand Line. Luffy encounters the Sea King that ate Shanks’ arm again and uses the Gum-Gum Pistol technique to defeat him. In the present, Luffy is still upset that Ace has died and proclaims to Jimbei that he is too weak.